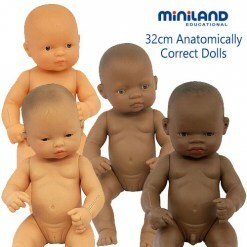 Miniland baby dolls are anatomically correct. They are dressed in their underwear and vanilla scented to smell like a newly born baby. Miniland originates from Spain, with emphasis on educational toys. 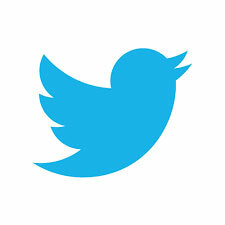 It has a steadfast dedication to providing a range that caters to every level of child development. 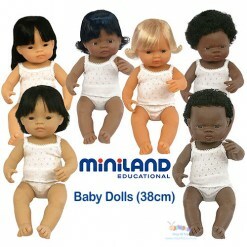 Miniland Educational doll collections are an important educational resource, encouraging creativity and socialisation skills. They help young children understand concepts such as family, diversity (multi-cultural and gender differentiation), as well as respect and tolerance. Made in Spain, these anatomically correct dolls are dressed in their underwear and vanilla scented. The dolls have well-defined ethnic features to aid the identification of the most representative races. The dolls have a gender allows children to make an important difference between them, strengthening knowledge of differential facts. 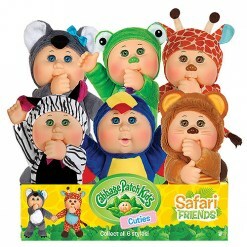 They do not contain batteries or make any sound, so the dolls do what the child wants them to. They are also soft and flexible to the touch. Due to manufacturing changes over time, the clothing design can differ from the images displayed.